Pianist Altenburgh is a composer and arranger with broadly based taste, in and out of jazz. Influences derived from either pop or R&B creep into his zone of taste, and there's a bit of electronica as well. Varying in range and effectiveness, not to mention originalty, there's a lack of spark that makes some of the music less than compelling. Still, Altenburgh, tenor saxophonist John Greiner, bassists Jeff Eckels and Mark Farrell, drummer Mark Ladley, and select guests all play well on this 36-minute, eight-cut program. When they're at their best, a melodic swing á la the neo-bop strain of Chick Corea and Michael Brecker can be heard. "1960," for instance, shifts and downshifts from second & third gear, with vibes from Robert Stright adding to the brighter notes in the piece. "Herkimer County" starts a bit tentative but locks into a good swing with nice unison tenor-piano and vocal lines from Altenburgh -- an engaging sound. The quartet swings easily, but sounds rather bland and nonplussed on "Fran's Back." Altenburgh slips into a boogie on "The Scott Street Shuffle" with his solo piano, hand claps, and a vocal sextet. Drums and piano sound polite (rather than down and dirty), for a half-hearted New Orleans shuffle "Jim & Elly's Summer Vacation." 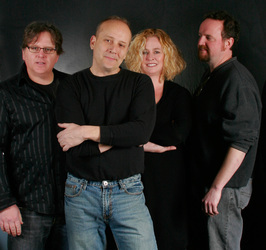 A typical gospel blues waltz reminiscent of the Saturday Night Live closing theme with drums, guitar, and bass from members of the Petrified Alien Brain Blues Band codifies "Coastin' Home." Greiner's EWI woodwind synthesizer sounds squirrely during "Pete the Pontiac," while drummer Matt Mattioli joins Altenburgh's easy sea synth washes on "Indian Summer." Transcending influence is tough, much less creating truly original music and sound. At times, an attempt to play something that pleases everyone falls short on some musical level. Judging from this release, however, the talented Altenburgh comes closer than most. Pianist John Altenburgh shows off his versatility on this early release from his Altenburgh label. 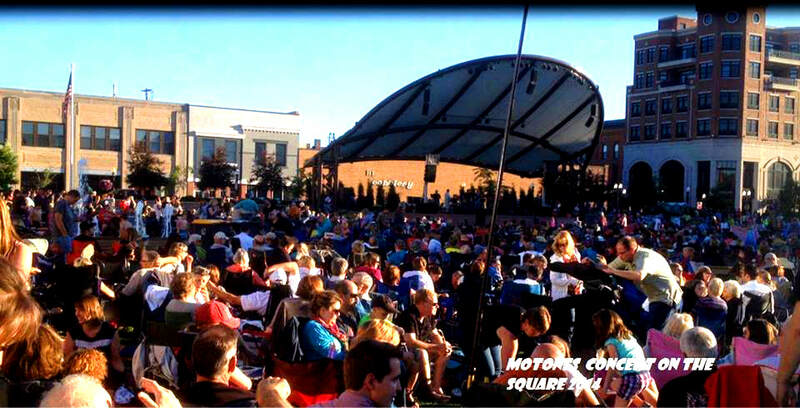 He is heard on piano, electric keyboards, guitar, organ, and occasional vocals, performing nine of his originals. The music is funky and contemporary but also boppish in spots, with his compositions often paying tribute to some aspect of his life up to that point. The instrumentation differs from song to song, with John Greiner's tenor, flute, or soprano being a strong asset on five of the nine selections. The pieces hold together quite well as a sort of suite, with highlights including "Generations," "GJ," "Cold Storage Blues" (a feature for Altenburgh's organ), and "Down on the Avenue." A superior jazz set from keyboardist Altenburgh, whose main support here consists of sax player John Greiner, drummer Mark Ladley, and bassist David Dunn; an assortment of others fill in the blanks where needed. Altenburgh took the risk of starting his own label in 1989, and it's nice to note that the recordings he produces and releases are, in the main, excellent efforts that stray a little from the beaten path. This set, for example, does not pander to the 1990s apparent conception of jazz as soothing mood music, instead providing the music with some degree of muscle and mind without diving into the free jazz and dissonance pools. Altenburgh's decision to use organ prominently in his music is another nice factor, one that offsets the more typical synthesizer washes and the odd bit of too-frilly piano (though, again, Altenburgh generally stays far from this.) While unlikely to win Altenburgh awards for innovation, this is good stuff to hear. 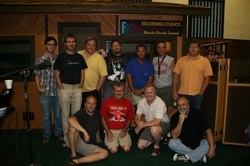 Keyboardist John Altenburgh contributed all eight selections to this intriguing, if occasionally commercial, release. The music ranges from fine straight-ahead pieces to a couple selections that sound as if radio airplay were their main objective. Altenburgh is at his best on organ, though he also plays piano and electric keyboards; on "Falls City" he also overdubs a muted cornet and guitar. Of the supporting cast, trumpeter Bob Kase and especially tenor saxophonist John Greiner have their spots, and on the better pieces the ensemble sound is quite appealing. Although a bit of a mixed bag, there are enough strong jazz moments to make this disc (which features musicians from the Midwest) recommended. 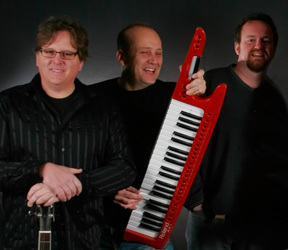 John Altenburgh's rock band, Bad Habit of the 1970's reunites for the Summer of 1999. Fun, Raw and LIVE! 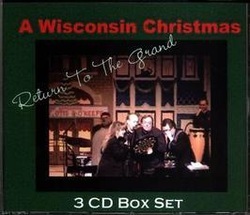 a wisconsin christmas "in concert"
The 2007 release, A Wisconsin Christmas "Return to The Grand"
Mitch Viegut Tuck Pence John Greiner and many others! 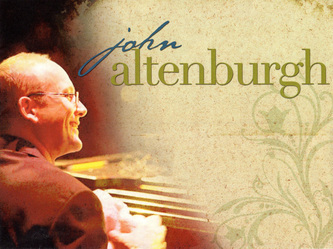 John Altenburgh Live at various concert venues throughout the US. With the recent success of Altenburgh's Latin based music at Spotify, comes the new release, Sounds of Latin!